Officials said any donations will help with name-change expenses, which otherwise would need to be covered entirely by county taxpayers. WASHINGTON — Fairfax County Public Schools, the largest public school system in the D.C. region, is asking for financial donations to help cover the substantial costs associated with renaming J.E.B. 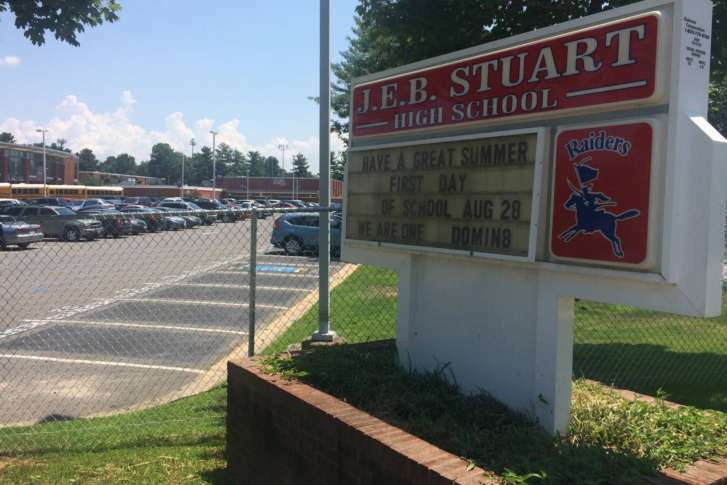 Stuart High School in Falls Church, Virginia. Following a vote to rename the school last week, county officials set up a website, asking people to send in money. So far, the effort has generated more than $8,000. The full cost of changing the school’s name is expected to be somewhere around $1 million. “All donations received will be used toward the costs of renaming J.E.B. Stuart High School to Justice High School,” officials wrote on the site. After years of debate, a nearly four-hour session by the Fairfax County School Board Oct. 26 lead to a decision on what to call the school, which had been named after a Confederate general. Sandy Evans, a board member from the Mason district, said using the word “Justice” would be a good way to honor Supreme Court Justice Thurgood Marshall, Barbara Rose Johns, Louis Gonzaga Mendez Jr. and all those who have fought for justice and equality. Johns was a Civil Rights leader and Mendez was a U.S. Army officer who joined Virginia’s education department. Evans said the controversial renaming process was the hardest issue she has faced in her eight years on the board. The school name change will need to happen no later than the start of the 2019-2020 school year, and Superintendent Scott Brabrand is expected to announce a plan in the coming weeks on how to carry out the process.